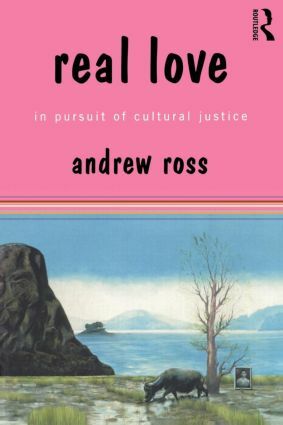 In Real Love, Andrew Ross, one of our preeminent social critics, explores the vital connection between economic life and cultural expression. From the consequences of cyberspace for work and play to the uses and abuses of genetics in the O.J. trial, from world scarcity to world music, Ross interrogates the cultural forms through which economic forces take their daily toll upon our communities and environment. Examining the effects of debates about race, technology, ecology, and the arts on social and legal change, Ross focuses in particular on how demands for certain forms of cultural justice often go hand in hand with injustices of other sorts, and shows why cultural politics are a real and inescapable part of any argument for social change. Andrew Ross is Professor and Director of the Graduate Programme in American Studies at New York University. His book include The Chicago Gangster Theory of Life, Strange Weather, and No Respect. He has also edited several collections, the latest of which is No Sweat: Fashion, Free Trade and the Rights of Garment Workers.